His mom feels the policy doesn't consider students with different hair textures. Black hair continues to come under attack in private schools across the country. 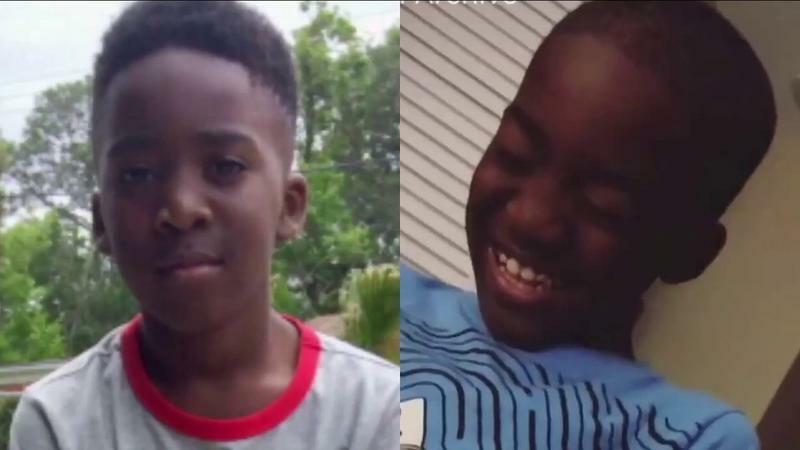 This time the latest victim is 8-year-old Garrick Austin from Jacksonville, Florida. The third-grade Christian Heritage Academy student was reportedly singled out for having a popular haircut violating the school's dress code. On the third day of the first week of school, Garrick was stopped by a school paraprofessional and told his hair had to be cut. "He said, 'The lady at the front desk called me about my haircut and said I had to cut my hair.' I said, 'They haven’t called me or sent home a letter, and until they do that, we won’t worry about it,'" Kiara Hudson, the boy's mother, told News4Jax. The warning was just the beginning. School officials sent a letter informing Hudson Garrick's hair had to be cut for him to remain in school, reports WJCT. "Last Thursday, they sent home a letter explaining if I didn’t cut his hair, he couldn’t return back to school," she said. "They sent me the policy, and she basically highlighted 'distracting and fad hairstyles.'" Hudson maintains the policy is unfair to students with different hair textures, especially black students. According to the school dress code policy, "hairstyles should be appropriate and consistent with good grooming and in no way a distraction to instruction. Fad hairstyles featuring different colors, unusual figures or designs cut in the hair, or ponytails on boys are not acceptable." Garrick fit the bill. Other students across the South have been sent home or ridiculed for similar reasons in the past week. Another private school student in Florida was sent home for having locs. A student attending a private school, also located in Florida, was sent home for having locs. In another high-profile case, a Louisiana girl attending a Christian school was dismissed for wearing hair extensions. "I think they should consider everyone in this policy, meaning all races, all textures of hair," Hudson said. "Actually, think about, is this distracting the children from learning? I can understand different color hair — blue, red — however, the type of haircut you have shouldn’t determine whether you’re learning in class or not." Hudson eventually caved and recut her son's hair. "I don’t like that you’re basically overriding my decision as a parent to cut my child’s hair," she said.